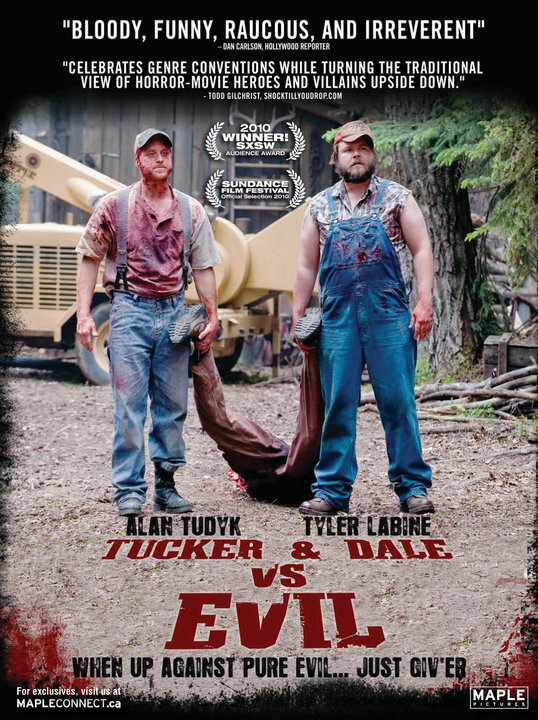 It’s odd that Tucker & Dale Vs Evil never really secured itself the broader theatrical exposure it deserves, because it’s a really smart film. Granted, it’s bereft of outright movie stars, but the pairing of Tudyk and Labine proves inspired, and Craig is wise enough to keep his running time nice and tight. I have to agree with the amazon review-excerpt. 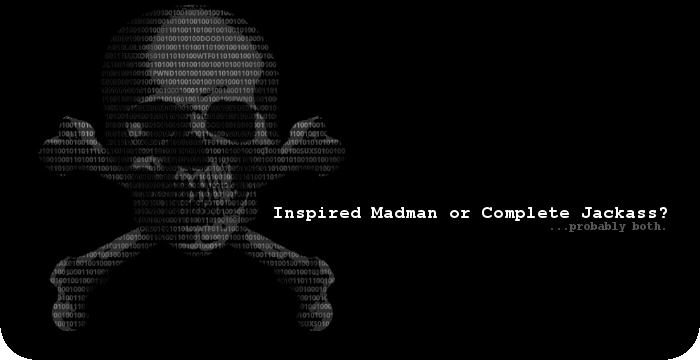 I...LOVED this movie :) I would argue it's up-to-par with the Norwegian cult-film export "Dead Snow". 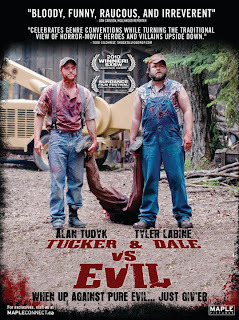 Not quite the same genre, but, both films deliver fantastic gore and bloodshed without forcing you to immideately realize the (sometimes quite surprising) humorous outcome.